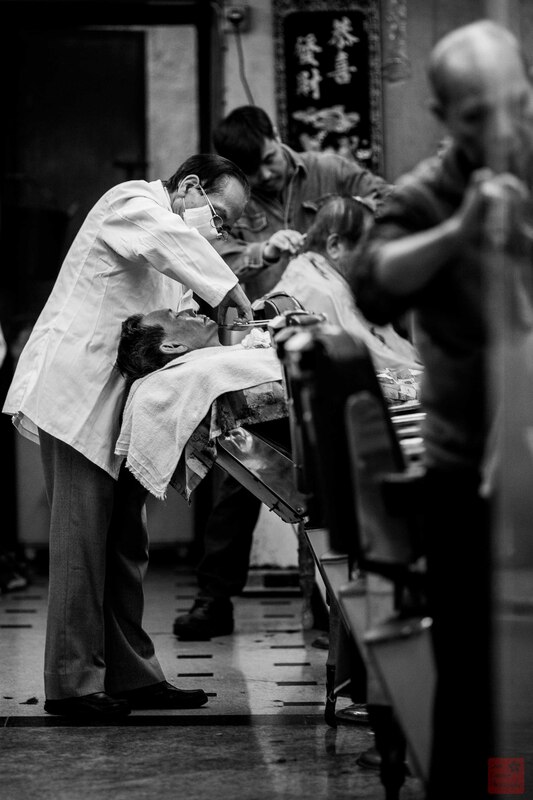 High rents, urban renewal and lack of space has taken its toll on the barbering trade. 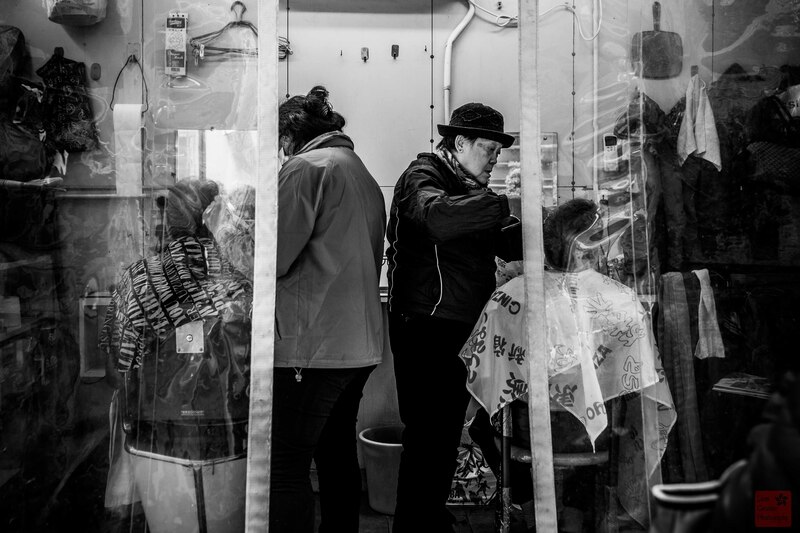 In the last ‘Barber shop’ post I showed some of the barbers I’ve encountered on the street. 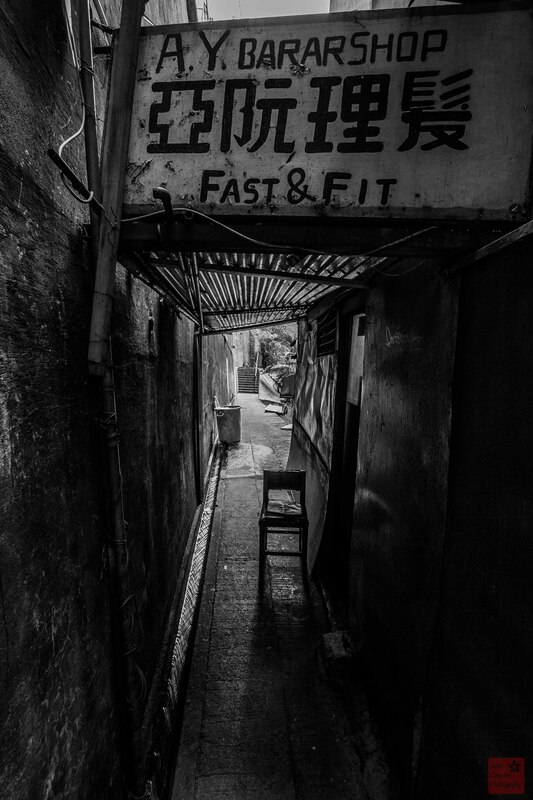 Barber shops in HK are often very small, have basic and old equipment, and usually only offer the simple cut and shave. In some cases, barbers don’t even have a shop, having to make an informal shop front in an alley-way, in an unused space at the back of a building or share with other businesses. 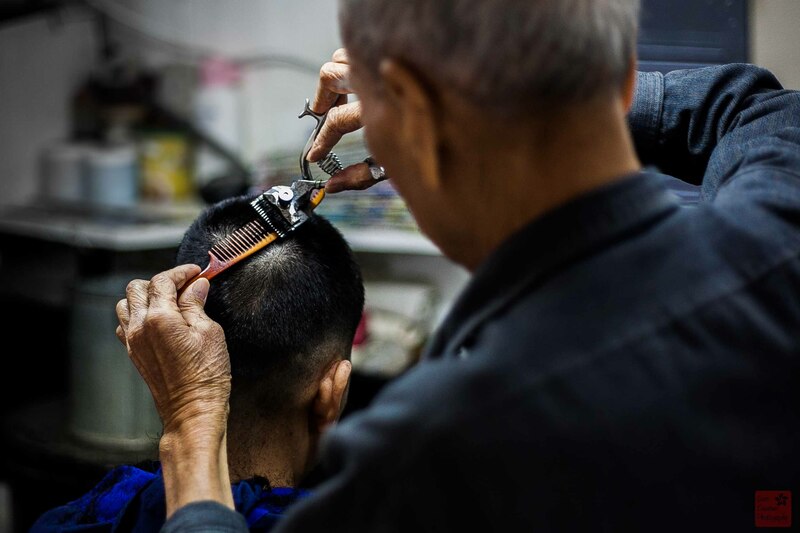 Majority of barbers in Hong Kong are 40+ and with the lack of interest in the age old skill of barbering, most youth prefer to study hair-dressing or styling, is this the beginning of the end for the traditional Hong Kong barber shop? Let me know your thoughts. Next week in street Snap I will show you the beauty of Hong Kong architecture. This entry was posted on March 6, 2014 by theguestroom in street SNAP.